Loving Start provides developmentally appropriate activities in a caring, safe and nurturing environment. 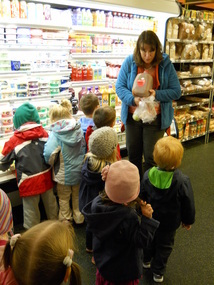 We seek to develop each child's physical, cognitive, emotional and social growth. We see our program as child-centered and play-based. Emergent curriculum and developmentally appropriate practice builds on the belief that children are competent learners. We consider the Wisconsin Early Learning Standards as we plan our curriculum. 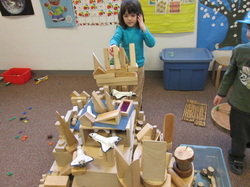 Additionally we are inspired by many different resources including Reggio Emilio. Our parent nights are held twice a year and are a fun time for you and your child. Past themes include musical concerts, Dinosaur Night, Camping Night, Fairy Tale Night, Space Night and Construction Night.